I’ve been trying to keep Thomas from racing around on the carpet, so he doesn’t re-injure his paw pad. So of course he’s being an unholy terror today. 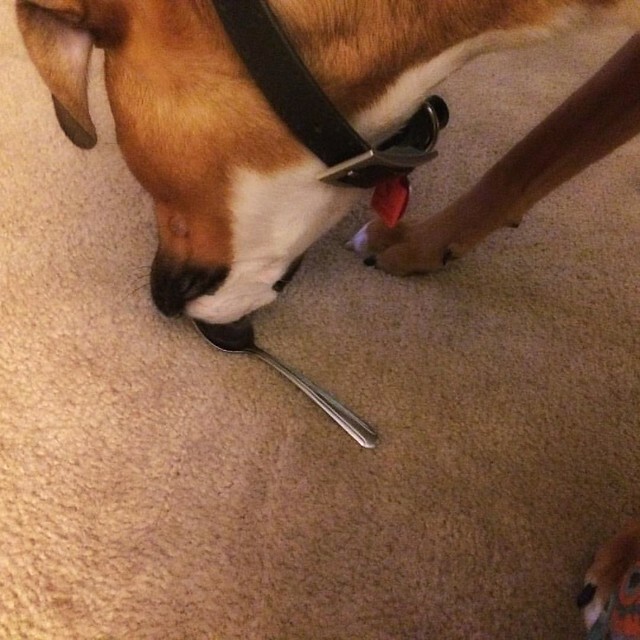 He stole a stick of butter off the kitchen counter, and then he stole the spoon out of my bowl, when I turned my back for two seconds.